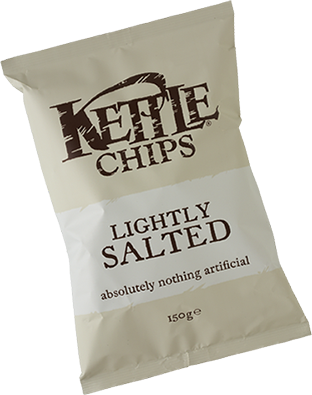 While we are not advocating eat potato chips as part of healthy diet, we do love how Kettle Brand focuses on natural ingredients. They contain no trans fats, no MSG, no artificial ingredients. They use whole slices of locally grown, select non-GMO potatoes, which we love. We only recommend the plain/lightly salted versions because they do not contain evaporated cane juice, yeast extract and maltodextrin. It's nice to read a package and only see 3 ingredients! The only reason they get a 4 is because eating potato chips (fried foods) should not be a regular snack if you're shooting for a healthy diet.